Not too long ago when I did my review of Runbow, I brought up the topic of uniqueness in video games these days. It can be difficult to create something truly unique that rarely or hasn’t been done before. 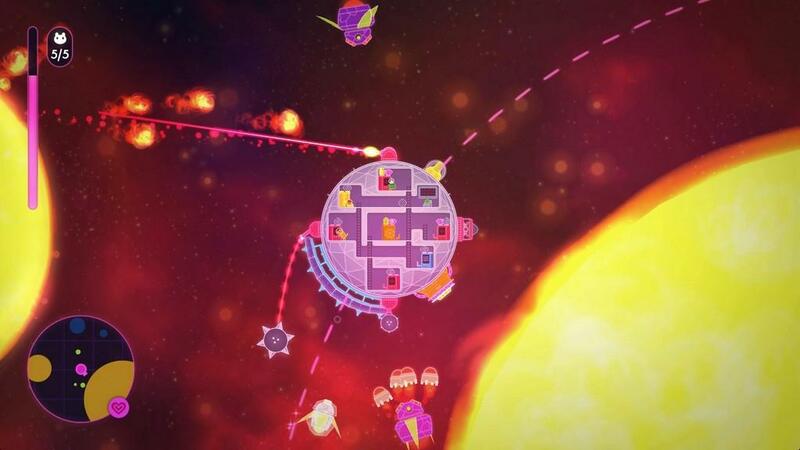 Much like Runbow put an interesting spin on multi-player platformers, Lovers in a Dangerous Spacetime puts an interesting spin on the shooter genre. That’s what I like about indie-style games; screw the status quo and let’s go for something fresh and unique. 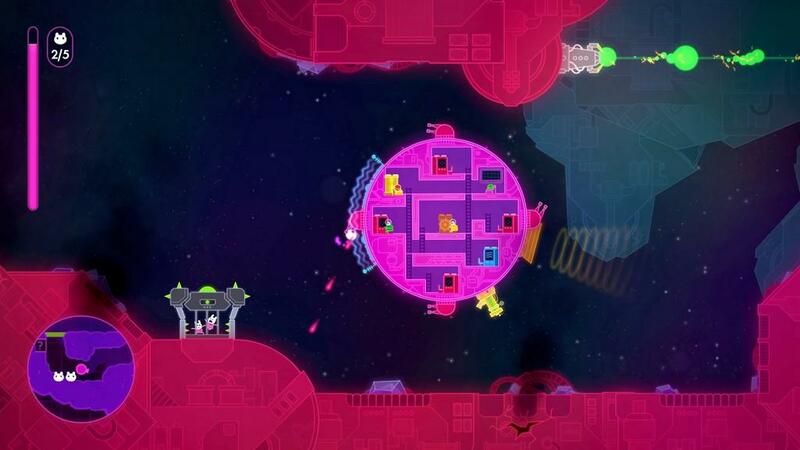 That being said, let’s see how Lovers in a Dangerous Spacetime accomplishes that. 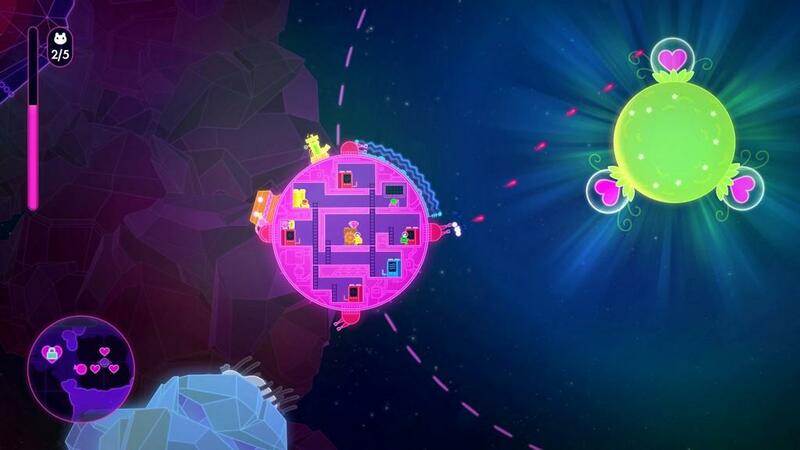 Lovers in a Dangerous Spacetime is interesting in both its story and how it plays. Sometime in the far away future, scientists have built a machine that can harness the power of love…I’m not making this up. With the Ardor Reactor, this power helps unite people all over the galaxy and were protected by the League of Very Empathetic Rescue Spacenauts (LOVERS) who protected the reactor. However, an issue with the reactor allowed anti-love to seep into reality and ultimately blast the Ardor Reactor to pieces. 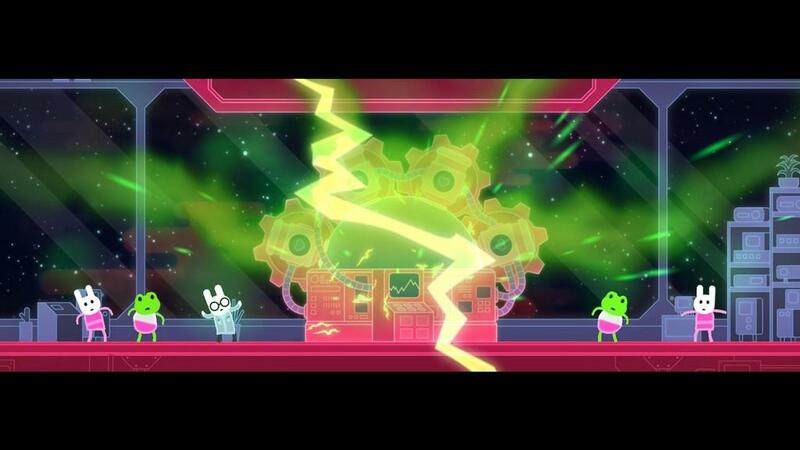 Now enemies are swarming around and capturing the space bunnies…again, not making this up…and it’s up to you to find the pieces of the reactor. 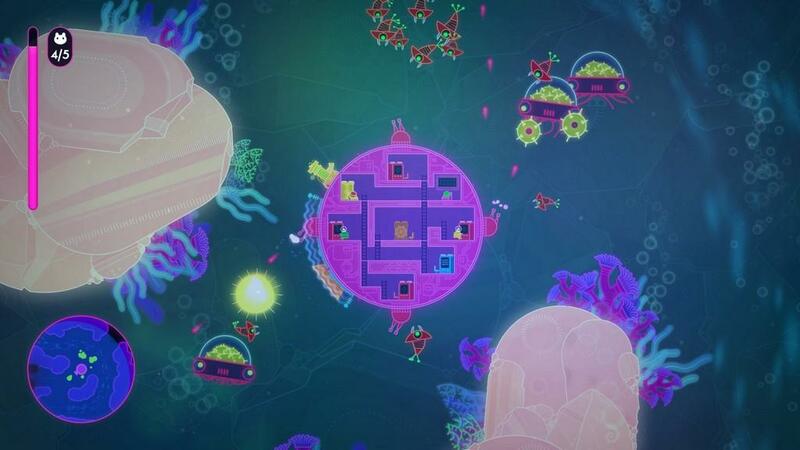 The goal of each stage is simple; navigate your ship around the level, find a certain number of space bunnies to unlock the chains that surround a giant heart, then make your way to the heart, all without getting your ship blown to smithereens. This all sounds simple except for one teensy-tiny problem. 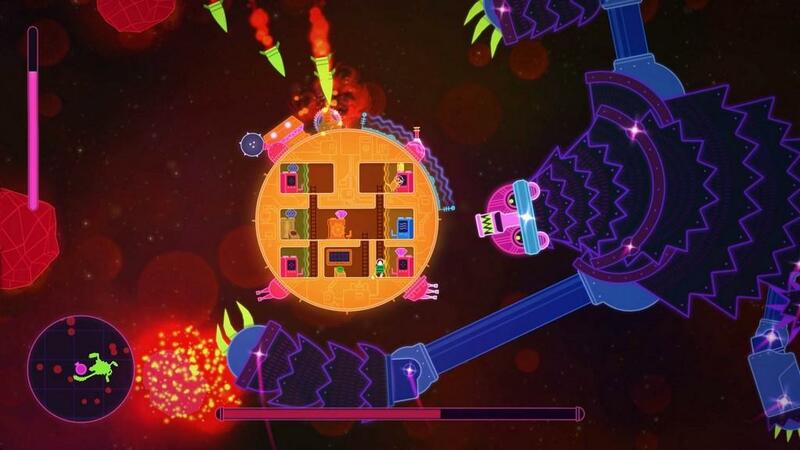 Since this is a free-roaming shooter, enemies can attack you from all sides. Granted you do have a radar where you can see enemies coming at you (show as green dots oddly enough), but it can be an issue trying to take them down due to one of the main mechanics of the game itself. When you first start up you can choose your character and then a companion if you’re playing single player. After the tutorial when you have everything in your ship needed to explore the constellations you can move from place to place in your ship to perform various functions such as fire a turret, move the shield (which covers about 20% of the surface of your ship wherever you put it), and move. Yes, one person can’t navigate the ship and fire a turret at the same time. That’s where the companion comes in. 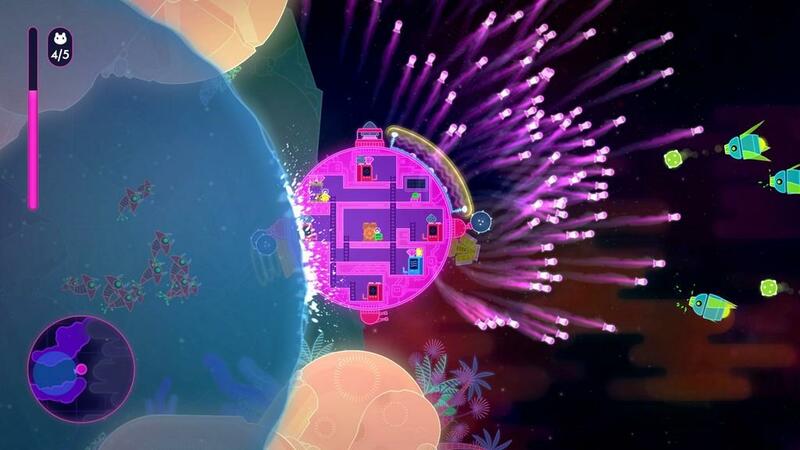 In two-player mode both players can move about where needed, but in single player you have to command your companion to take over a certain part of the ship and it can get quite hectic. As stated already, the goal of each stage is to find a certain number of captured space bunnies. When you find one you typically have to blast open its cage to free it, though sometimes you have to defeat swarms of enemies first. This is where things can really go awry. While not too bad at first, there are times where enemies can come at you from all sides and you only have a quick moment to determine how best to handle the situation. 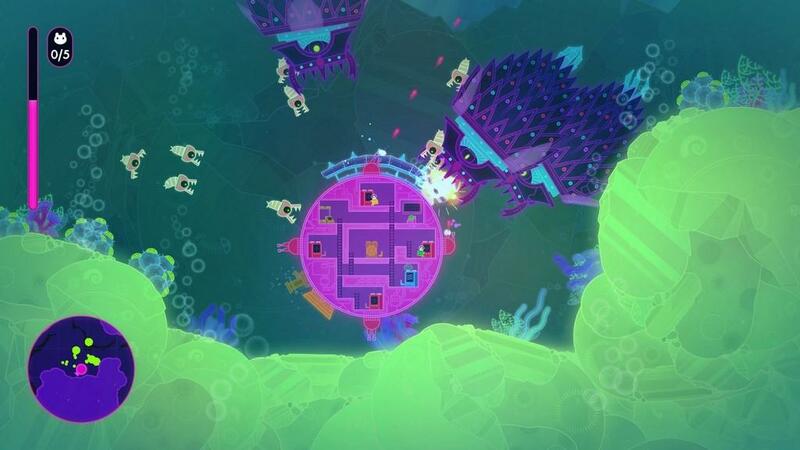 However, enemies don’t stay still and will circle your ship, meaning you’re constantly running around your ship to move from turret to turret and you have to command your companion to move to whichever spot on the ship will help take out the enemies faster. It can get very stressful trying to manage everything at once and determine on a whim where you need to send your AI companion. As you progress the game there are two ways to power up your ship. The first is with gems you find during and after each stage. You can place these gems on any station in your ship to give it some sort of power up. 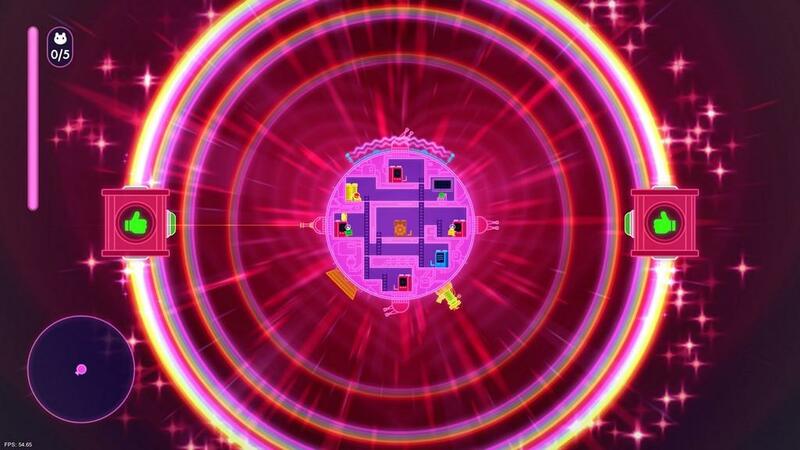 For instance, a metal gem can put metal spikes on your shield or turn a turret into a ball and chain styled weapon, while a beam gem can turn a turret into a laser, but keep in mind that you can’t remove a gem unless one of the presents you get is a Remover or if you try to place a gem on a station that’s already has a gem (the latter doesn’t give you the gem back). 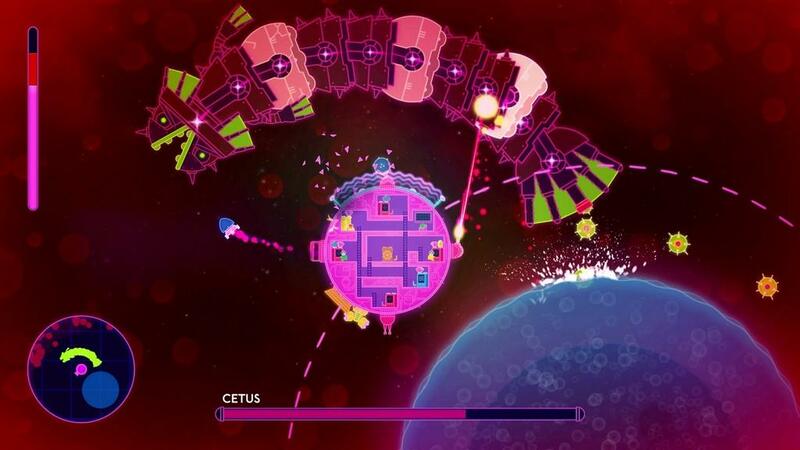 Secondly, your ship can level up after collecting a specific number of space bunnies and each time you level it up you can choose a perk such as being able to place a second gem on your ship’s stations, letting you combine power ups. There are typically more space bunnies in a level than those required to finish it, so it might be worth it to explore a lot to level up quicker. Gameplay mechanics aside, the game itself looks great. The stages are fairly large and allow you the chance to explore for a while. You can pick up items from boxes around the stage for bonus gems as well as an item that will show you the location of some space bunnies in the area, so it’s not like you’re entirely blind to the area. There are also two difficulty settings: casual and normal. Casual is a bit easier as there are less enemies and your ship won’t take as much damage from attacks and bumping into things. On top of that, if you think the normal difficulty is too hard or need something a bit more challenging than casual, you can change the difficulty on the fly. There are a couple of other small nitpicks to mention and the first are the controls. I’m using an Xbox 360 controller while playing and for the most part it’s okay, except it can be difficult to navigate from station to station. When you get to a station you automatically take control of it as soon as you touch it and you have to jump to remove yourself from the station, so several times I’m passing the station to activate the ship’s thrusters while moving from one turret to another and I keep accidentally activating the thruster, wasting time while enemies are attacking me. I’ve also had issues while climbing the ladders in the ship because one wrong tilt of the control stick makes me slide off the ladder prematurely. There were instances where I’m trying to quickly climb a ladder to get to another station and kept sliding off the ladder while trying to quickly get off of it. The other issue kind of piggy-backs off of that. If you end up getting a gem that you don’t wish to use (maybe because all of the stations are set how you like them), you don’t have to use it…but it’ll just get in the way. I had a metal gem that I didn’t want to put anywhere so I just set it down and moved on. Under no fault other than my own I put it near a turret, so later when I tried to use that turret while in a hurry to defend the ship I kept picking up the gem instead. Again, my own fault for where I left it, but it would have been nice to have a way to just get rid of the gems you don’t want. However, it is worth noting that once you’re done with a constellation and get part of the Ardor Reactor back, any and all gems will disappear from your ship, including the ones you’ve placed at your stations. You start each constellation with a clean slate so to speak. 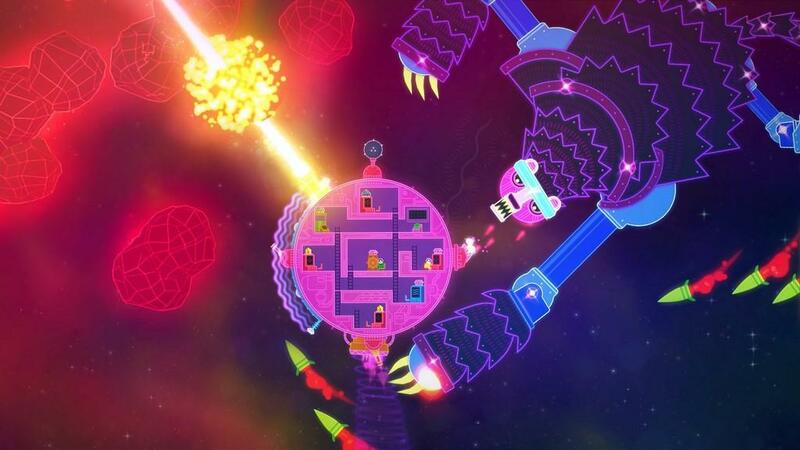 Beyond that though, Lovers in a Dangerous Spacetime is a pretty fun game and an interesting take on the shooter genre. However, it feels like that it’s built more for two players as opposed to a single player commanding an AI companion. That being said, playing alone with an AI companion brings out more of a challenge and having the ability to switch difficulties on the fly helps improve the experience. I won’t lie, I ended up having to change over to the casual difficulty to get through some parts of the game as I was getting overwhelmed with the normal difficulty. 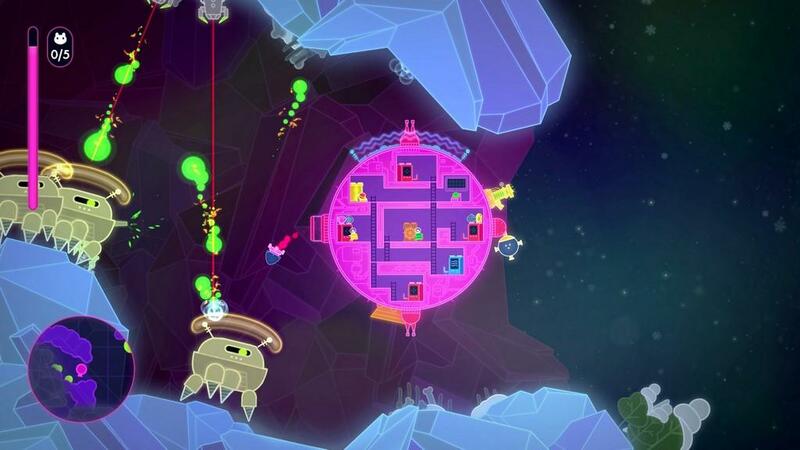 Bottom line, alone or with a friend, Lovers in a Dangerous Spacetime is an enjoyable game and an interesting take on the shooter genre. 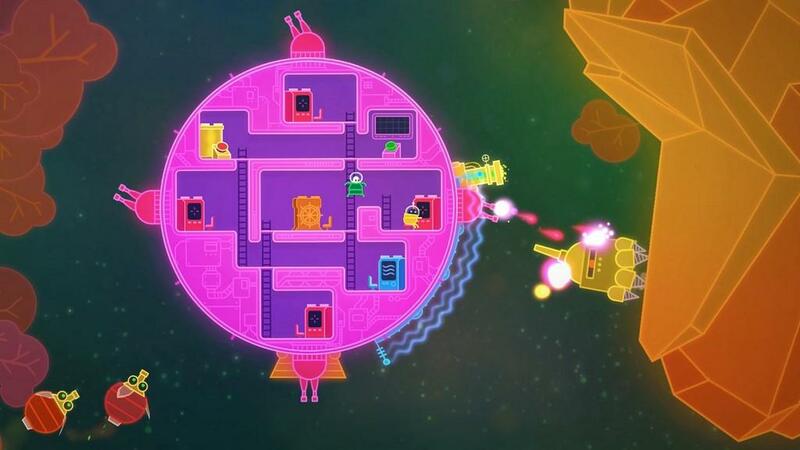 Lovers in a Dangerous Spacetime is a fun and enjoyable take on the shooter genre, focusing on exploration of each area instead of vertical or horizontal scrolling. While the game seems better suited for two players working together, playing alone with an AI companion brings a bit more challenge to the game. 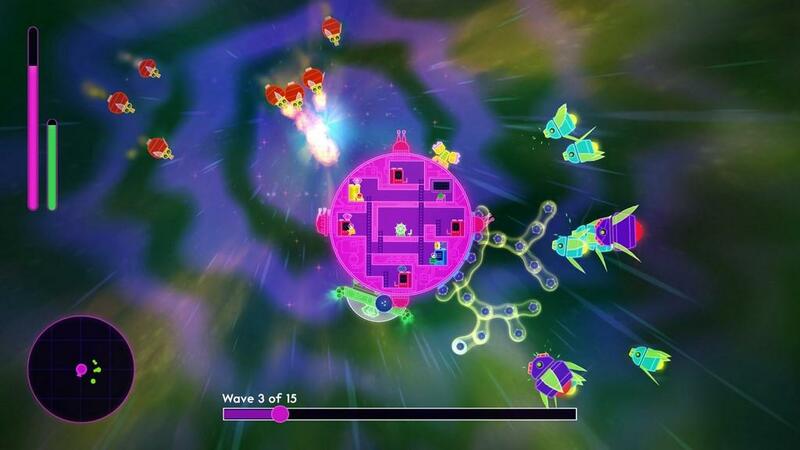 With the ability to change difficulties on the fly, this is a game that can be enjoyed alone or with a friend.